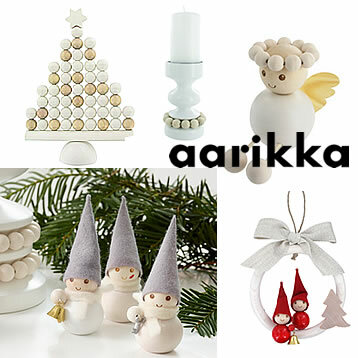 Aarikka’s Tonttu Christmas elves bearing warm-hearted greetings, the friendly frosty family Perhe Pakkanen, and other adorable Christmas ornaments bring a wonderfully festive feel to the home and are also excellent to wrap up as gifts. It all began with buttons. And it all sprang from a real need: Kaija Aarikka, then a student at the Institute of Industrial Arts in Helsinki, was unable to find any buttons to go with a dress she had designed. So she made them herself. The story of her distinctive, eye-catching buttons soon had a sequel in jewellery. And February 24, 1954 went down as the day that Aarikka was born. Round shapes appealed to Kaija Aarikka from the very beginning. The buttons and wooden trinkets were followed by silver jewellery, candlesticks, toys, giftware and decorations. 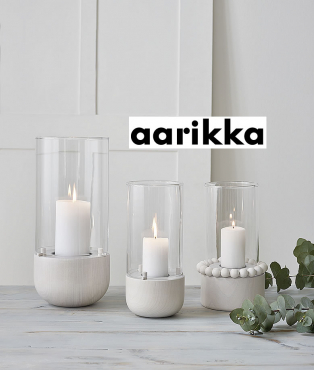 Original, bold and natural were the key Aarikka attributes, just as they are today. 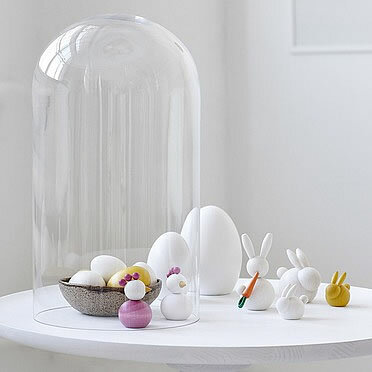 We are still inspired by spherical shapes, and other key elements in Aarikka products are vividness, coziness and joy.